Join us at the fourth market of the season. You know it’s fall in New Mexico when you smell roasting green chile! Come on out to the third market of the fall season to learn about local foodshed initiatives on UNM campus. 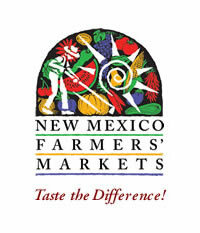 Bring a recipe…take a recipe at the second of six Lobo Growers’ Markets on main campus tomorrow!! Also, check out today’s article in The Daily Lobo, Market brings local produce to campus.